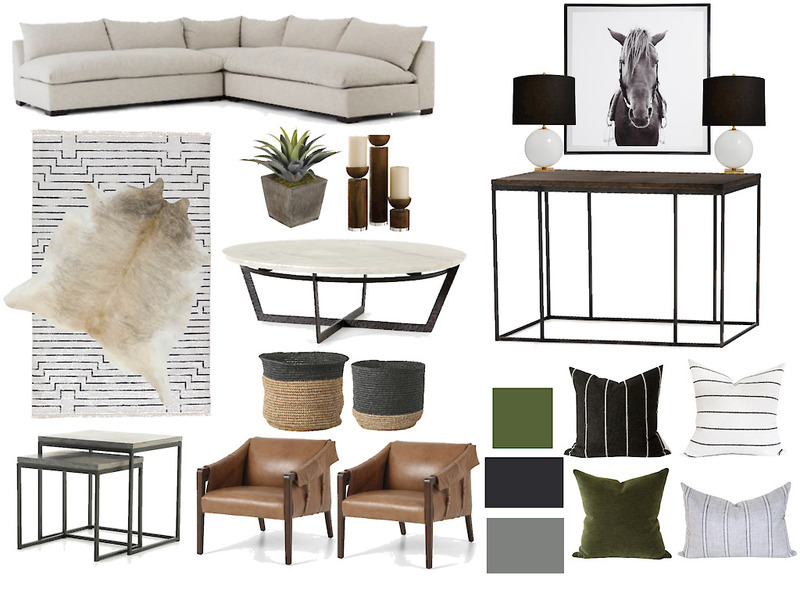 This week I wanted to share a mood board we put together for our Dallas client whose home we’ve been working on a room by room. 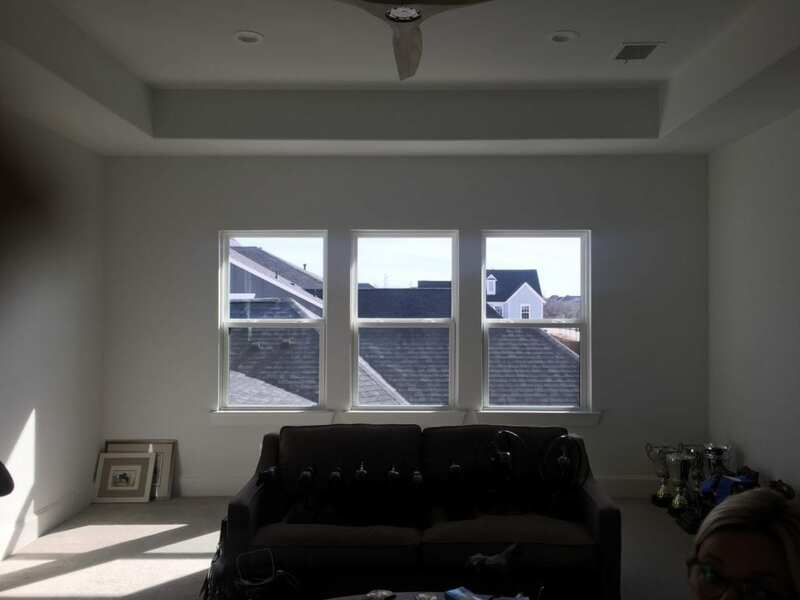 We are currently focused on their upstairs bonus room which will be used as her trophy room. She is a champion equestrian and has all the swag to show for it. Three mounted saddles and more trophies than we even need to count. Built-in bookcases have already been installed to house many of those trophies. We’ve also had a plan for an additional shelf to be installed along the opposite ship-lapped wall where we will hang some of her halters and then be able to place more trophies on top. Trophy shelves installed. A flat-screen TV will be installed in the center opening. 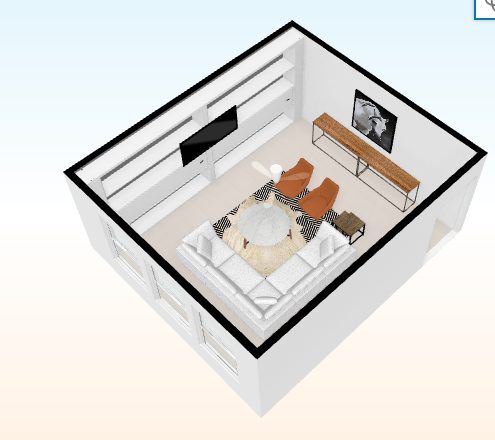 The room really won’t be used all that often but, the client still wants it to be a cool place to hang out in. We put together a mix of furniture pieces that reflect a casual equestrian feel that’s both a little bit Texas and a little bit Hampton’s. This mood board served as a jumping off point for our design. With feedback from the client on feel and budget, we’ve already made some adjustments and it’s a work in progress. 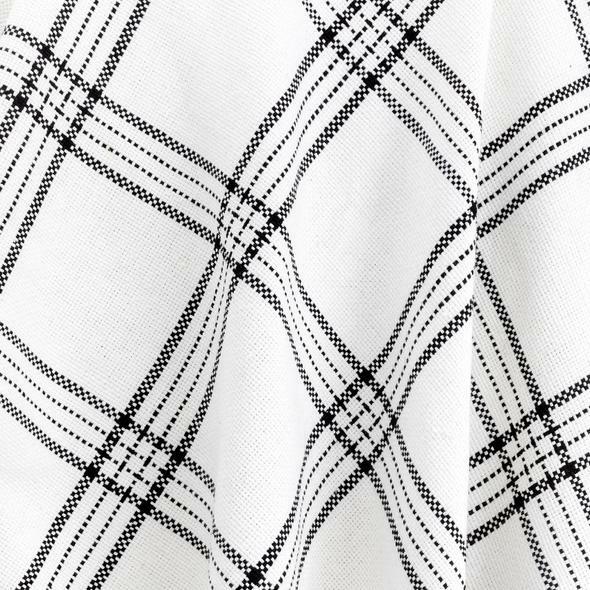 We’re working on finding alternate fabrics, it’s just been hard to get beyond our love of the pretty plaid. 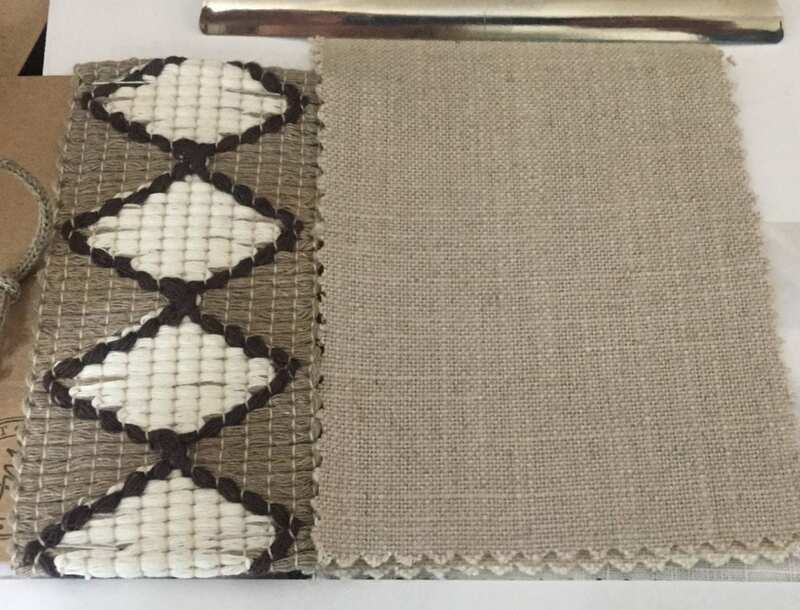 We’re considering using a classic mattress ticking fabric or maybe this combination of flax colored linen with this harlequin tape trim. 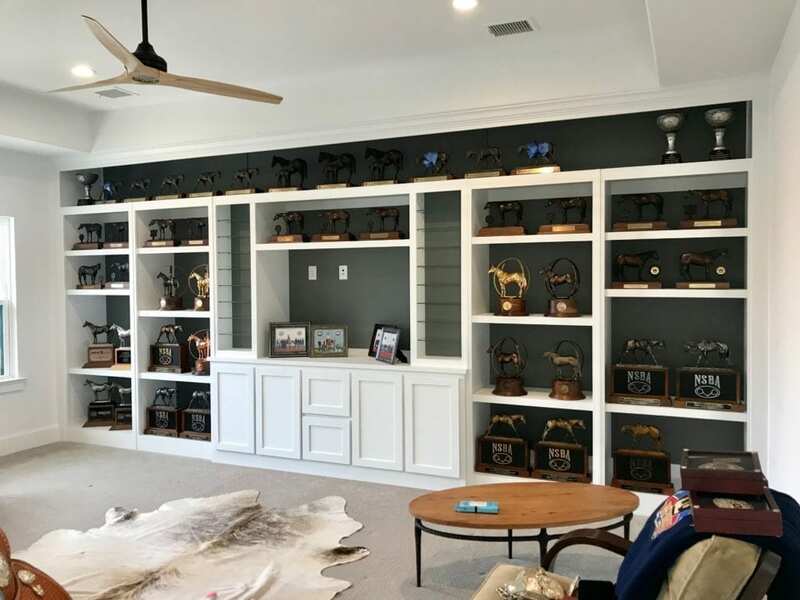 The plan for our “Equestrian Champions Trophy Room” will continue to evolve, but we’re getting pretty close to finalizing it. Keep your eye out for the finished space, it’s going to be great!